Here at the State Theatre we present a variety of free programs for different ages as part of our mission to better serve and enrich the lives of the surrounding community. We do everything we can to make sure people know about these programs. So, with that said, below is some information from our Education department on a FREE program that we offer to college students. If you are a college student or if you know any, please read or pass this on. Are you a college student? Do you like free food, entertainment, and social networking? Then be sure to check out Scientists Exploring the Arts, a unique program inspired by the relationship between performing arts and science. Although you may be wondering what these two seemingly different disciplines could possibly have in common, there are actually several elements that are essential to both: creativity, innovation, problem solving, teamwork, and process. As a way to celebrate and explore these similarities, the State Theatre has partnered with National Starch, LLC. to bring college students Scientists Exploring the Arts. “National Starch is excited to be co-sponsoring this unique event with the State Theatre. The pre-performance lectures and the shows have been outstanding and have provided a memorable evening for all,” commented Joseph Light, Head of Global Development, Customer Solutions & Product Innovation Groups for National Starch and State Theatre Trustee. “I like to think of it as left brain meets right brain…Who says the arts and sciences can’t work together? !” added State Theatre President & CEO Wes Brustad. The program is totally FREE and open to college students (both graduate and undergraduate) majoring in the one of the following: food science, molecular gastronomy, nutrition, chemistry, chemical engineering, statistics, environmental science, food sensory evaluation, material science, business (finance, sales), marketing, computer science, and communications. The program includes a ticket to the performance at the State Theatre in New Brunswick, a pre-performance “Exploration” with an arts educator, and a pre-performance dinner, where there will be opportunities for networking with National Starch employees and other students. Registration is on a first-come, first-serve basis, so apply early to reserve your spot! Contact Jennifer Cunha at 732-246-7469, ext. 545 or check out www.statetheatrenj.org/education/scientistsexploringarts.asp to guarantee your space in this incredible program. 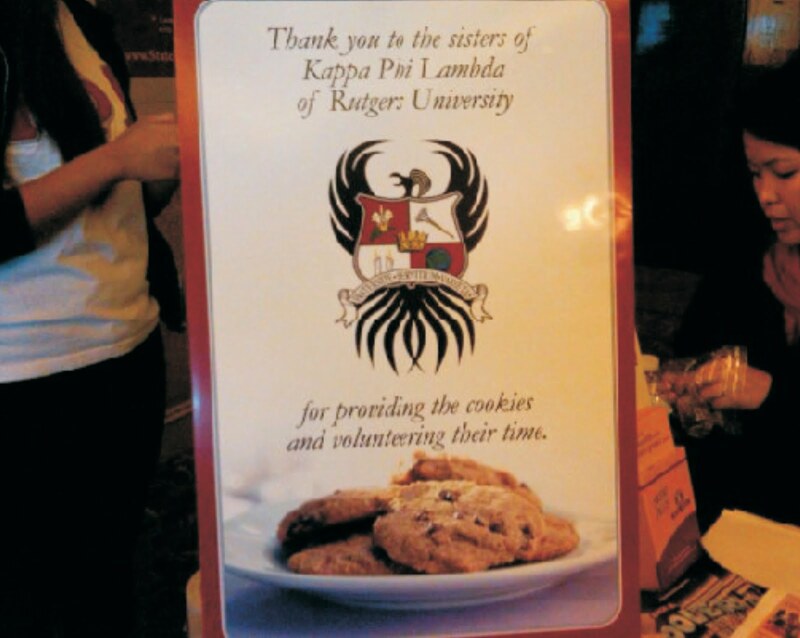 Part of my job as University Liaison consists of engaging the Rutgers community in all things State Theatre. We present world-renowned artists in almost every discipline and many times these artists are available for workshops, master classes, Q&A’s etc. We want Rutgers students, faculty, and staff to take advantage of all we have to offer. But they need to know about these special opportunities in order to participate. Last year around this time, I organized a presentation to Rutgers faculty and staff to promote last season’s events. On Wednesday, July 1st, we will do it again for our 2009-2010 performances. There are several performances we hope will generate excitement, among them The Shakespeare Theatre of New Jersey’s adaptation of The Grapes of Wrath, MacHomer, Scrap Arts Music, and The Amish Project. We want the Rutgers community, especially students, to see the State Theatre as their neighborhood entertainment and performing arts venue. There is so much more happening here than most people think. Hopefully on Wednesday we will begin to plan for some great collaborations with Rutgers. Rutgers to break Guinness World Record of most Waldos in one place! In any other case, seeing over 1500 people dressed up as Waldo from the book series “Where’s Waldo?” would probably frighten you. If you are a child of the 90’s you probably remember Waldo as the tall, lanky, guy that always seemed to be lost amidst a crowd of people/objects that looked like his red and white striped shirt at first glance. On April 2, 2009 Rutgers University is attempting to break the Guinness World Record of the largest gathering of people dressed up as Waldo. I know what you’re thinking, “THAT’S a world record?” You would be surprised to find out what other bizzarre world records there are out there (actually, last April, Rutgers students broke the world record for the most people dressed up as Teenage Mutant Ninja Turtles). This year’s record breaking attempt will take place at the State Theatre, with an entry fee of $5 or a new children’s book. All books and proceeds will benefit literacy efforts for the students of the New Brunswick School District. So, not only will you be able to be a part of breaking a really unique world record, you will also be helping out the kids that live in the local community. We are living in a time where books are becoming a more and more obsolete source of entertainment for children. It is nice to know that there are still events like this that are fighting for books to remain a part of childhood. So, if you grew up in the 90’s looking for Waldo, want to break a world record, or just want to benefit a good cause, put on your Waldo gear and stop by the theater. The State Theatre is located at 15 Livingston Avenue in New Brunswick, NJ. For information or to purchase tickets call 732-246-SHOW(7469) or visit http://www.statetheatrenj.org/. Check us out on Twitter, Facebook, and Myspace.